China industrial development and automation level started later than developed countries. From current economic developing towards a good situation, AC drive industry will also enter a rapid development stage, and the market demand will continue to expand, Chinese domestic ac drives manufacturers should take benefits from their accumulation in the local market, brand influence, technology, and other aspects of the industry, to expand low voltage and high voltage drives business, besides the domestic markets, they would also expand its market share in the global countries. Technology is always the basic of a brand to survive in the market. China ac drive manufacturers should establish their own research and development efforts to improve the drive's technology level, creating new ac drives to adapt to market demand. For a long time, China ac drive suppliers are in the low-end technology level among the global markets, but in recent years, the manufacturer realizes it's better to improve their own R & D abilities and production lines capabilities, rather than to emulate someone's technology. China ac drive manufacturers establish their own R&D teams base on domestic market demand, build their own brand and increase market share, thus, compete with other drives brands in near future. In China domestic, the total estimate market capacity of AC drives should be 110 to 170 billion Yuan, with a scale of low voltage drives for about 70%, middle voltage and high voltage drives share 30 % market. Due to the high-voltage power electronic devices limitation, high voltage ac drives have not been applied widely, it needs the manufacturers make further marketing promotion. At present, China local drives market maintains a 25% -35 % annual increase ratio, the increase rate is in the top leading level among other industrial electrical products, which is far beyond the GDP increase level of China. In forecast, the annual increase ratio will remain at 25% or more for at least 10 years, according to this increase speed, it needs at least 15 years for the ac drives manufacturers to reach the market saturation. From product-oriented to customer-oriented (solutions) is an inevitable trend in automation industry by competition driven. For the ac drive is the same, it should be used as part of the solution rather than as an individual product. From current market situation, such changes have more or less to penetrate in the company strategy, which may show in different ideas and options. For large capacity drives, it's making sales as a solution already. The technical staffs of the manufacturers provide direct support, or serviced by an industry professional integrators. The technical and industrial knowledge requires very professional and comprehensive to customize individual business features. Sales are basically industry-oriented, such as iron and steel projects, cement projects, pipeline pumping stations and other projects are involved in this field. 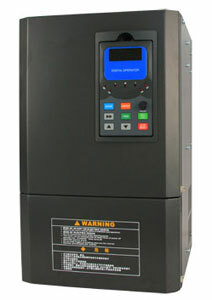 First, it needs the right product which is an insurmountable challenge in most of the ac drive suppliers. Second, understanding the industries, to establish an own or systems integrator based technical team, which also requires a huge investment in capitals and labors.